We can all gain knowledge. Especially in this day and age, knowledge is everywhere. I can within minutes look up any topic and discover all the knowledge I’d want to know about it. Wisdom however is scarce. Wisdom is the ability to gain knowledge of what is true and then couple that with the judgement to take action on that knowledge. 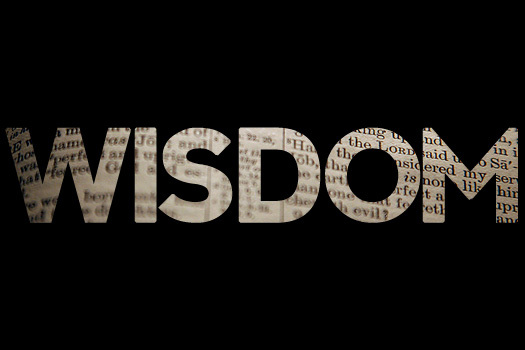 However, there is a difference between earthly wisdom and the wisdom from God. So we shouldn’t look to the world for our wisdom, but look to God and his Word. The practical discernment that wisdom entails begins with respect for God, leads to right living, and results in the increased ability to tell right from wrong. God will give us this wisdom if our goals are not self-centered. We should be God-centered. To learn God’s will, just read his Word and ask him to show how to obey it. Then take action and do what he tells us.